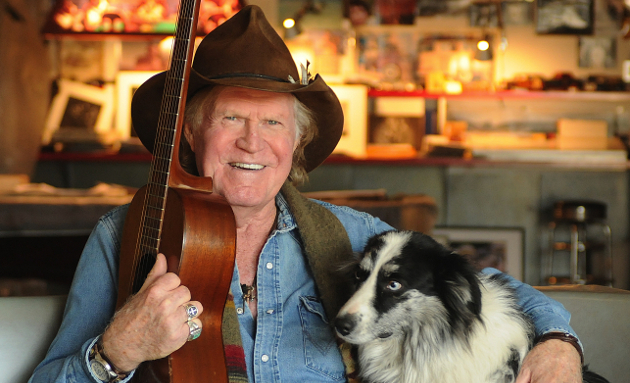 An oral history on the life of songwriting legend Billy Joe Shaver is on the way. Called Live Forever: The Songwriting Legacy of Billy Joe Shaver, it will be about Shaver’s life and songs told through his peers, friends, and disciples. Composed by Courtney S. Lennon, the book will feature contributions from Ray Wylie Hubbard, Dale Watson, James McMurtry, Scott H. Biram, Dallas Moore, and Jessi Colter (who’s as close as you can get to Waylon’s perspective), as well as other artists to be announced soon. Author Courtney S. Lennon is related to legendary songwriter Stephen Foster, and has been a strong voice in the roots community via her website TurnstyledJunkpiled, or TJ Music Magazine. A native of Buffalo, NY, she graduated from The University at Buffalo with a B.A. in Philosophy and began her writing career at the Arts Desk of The University at Buffalo Spectrum. Live Forever: The Songwriting Legacy of Billy Joe Shaver is still in the works, so don’t get too jumpy waiting for a copy. Preliminary estimates have it showing up via the Texas A&M University Press John and Robin Dickson Series in Texas Music sometime in 2020. Meanwhile you can subscribe to stay in touch about the project, or follow on Facebook. Looking forward to this as I already have a copy of Honky Tonk Hero, which is a good read. I was able to buy it from him after a show in Texas and get it signed. One of my prized possessions. Billy Joe is a great guy and a hero of mine! I got my signed copy of Honky Tonk Heroes when I ran into Billy Joe at a gas station in Hope, Ar a few years ago. I saw him but wasn’t sure it really was him. I told him, “Mister, you look just like Billy Joe Shaver. Are you him?” “No, that ain’t none of me,” he replied. Then with a big smile he continued on, “Yeah, that’s me.” Then he gave me a copy of his newest CD and his book. The life of Billy Joe Shaver with contributions from Ray Wylie Hubbard, Dale Watson, James McMurtry, Scott H. Biram, Dallas Moore, and Jessi Colter. Then you have Top Country songs last week by Bebe Rexha & Florida Georgia Line, Dan + Shay, Kane Brown, Kenny Chesney, Florida Georgia Line, Brett Young etc., etc., and so on. Friends, these are two different universes. One of them know and I live in, one I know nothing about and pray I never have to visit. Could listen to Dale Watson talk about country music all day. Good to see the A&M Press PR team getting out ahead of this one to beef up interest! I hope we still have printing presses and books by 2020. Speaking of biography wish lists, I wish Dale Watson would put one together, bet he has some tales to tell. First-day buy, if not first-day preorder. BJS has lived the life — the real deal like we don’t see much of anymore, if at all. This book has to be filled with great stories, hilarious, tragic and everything in between. A true genius with words he was and still is. Billy Joe’s pen and Waylon’s voice combined to make some of the best music of all time. Met Billy Joe both times I saw him live. The first time, I had my vinyl copy of Waylon’s HTH album. He said to me, pointing at the cover – “ that’s me right there”. I just laughed in disbelief as he signed it. The second time I had my copy of the HTH book. He signed that, I got drunk after the show and left it on the train. I’ll never forgive myself for that one. But of the few heroes I have, he ranks at the top of the list. 2020 is far too long a wait for this impatient soul, but I’m thrilled about this! It’s a damn shame that more people don’t know Billy Joe Shaver. I like to introduce him to the uninitiated as ‘Your country music hero’s hero’.